Although it's a little bit ugly dontcha think? 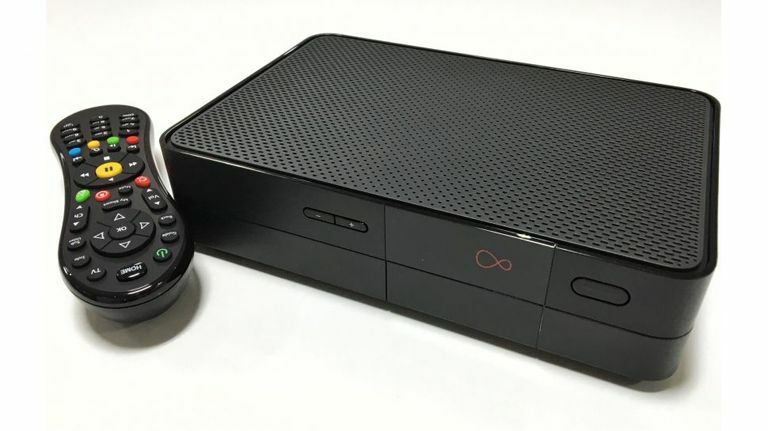 The long wait for a Virgin Media 4K box is nearly over, with the telco teasing its new V6 box in a tweet(below). Although the box isn't exactly a stunner - we think it looks more like an 80s console! - we've high hopes for what's inside. We don't think it will be too long until the new box hits the streets, but Virgin needs to be quick-ish considering it likes to make a play of having "all the football" with BT Sport and Sky Sports both available on the platform. Its previous TiVo box has been in use for around five years. Sky's Ultra HD offering on Sky Q is already underway, with a bunch of 4K movies including Spectre, Everest and Fury already available to view on the platform. Sky's Ultra HD football offering also kicks off (sorry) this weekend with the start of the Premier League (athough it did show Liverpool vs Barcelona as a UHD teaser last week). BT Sport's 4K offering has been in full swing for a year now, with most of its live Premier League games moving from the 12.30pm Saturday slot to the 5.30pm kick off time instead. BT appears to have rebranded its channel to BT Sport 4K UHD rather than Ultra HD. This makes absolutely no sense to us as BT itself established 'Ultra HD' as the name to use, a moniker that Sky is now using.